Today Almost everyone knows her name as Golden Girl of Hyderabad. She is born in Hyderabad on April 22nd 1994. She completed schooling from All Saints High School and she graduated from Villa Marie Degree college (BA Political Science). Later she pursued MA English from Vanitha Maha Vidyalaya. Her father is Syed Shah Majaz Ul Haq (Real Estate Business) and mother is Amena Majaz (Home Maker). She has two siblings. Her Elder Brother is Syed Shah Ishtiaq Ul Haq (He is in business along with father) and he is married. Her elder Sister is Syeda Ayman(Doctor) and she is married. She started Karate at the age of 12 years. 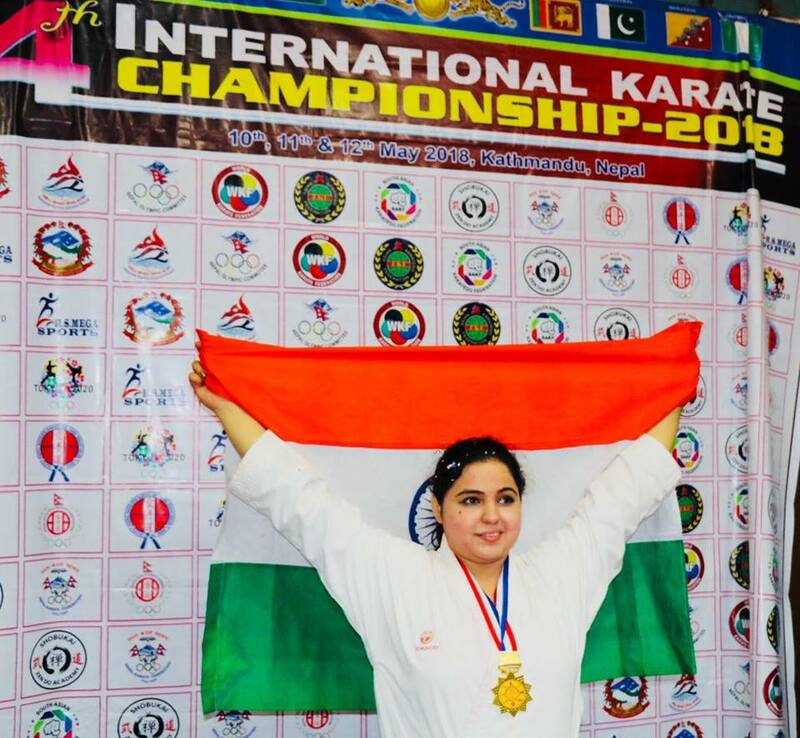 She is the winner of 19 International Level Championships and 21 National Level Championships. She is the first Telanganite to have been qualified to represent India at the World & Asian Karate Championships as well as the first Telanganite to win the Senior National Title. She won Gold Medal at USA Open (2016) and also represented India at Premier Leagues. She is popularly known as the Golden Girl Of Hyderabad. 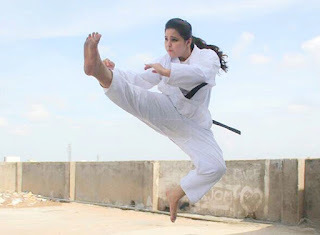 She has promoted Hyderabad She Teams and providing coaches to the Telangana Minorities Residential Educational Institutions Society-Schools for Self Defence and Karate. She often promotes and visits events for social causes like women empowerment,importance of girl child,child abuse,sports for all,physical fitness,medical camps etc. 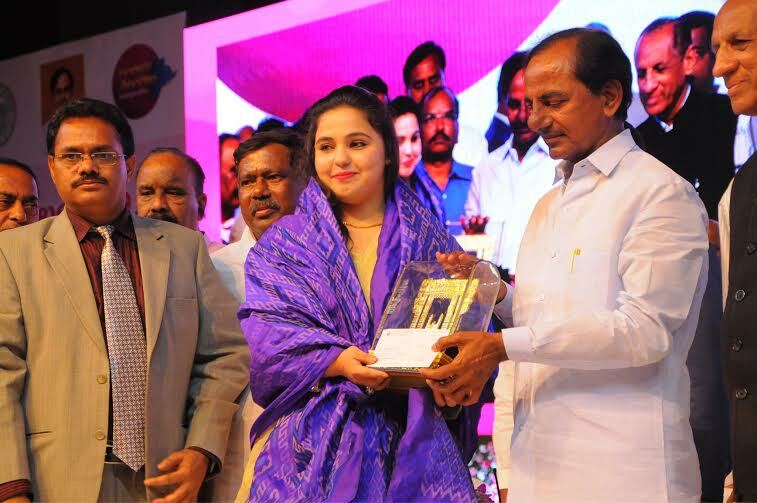 She was feliciated by Telangana Chief Minister KCR on Telangana Formation Day-2nd June,2016. 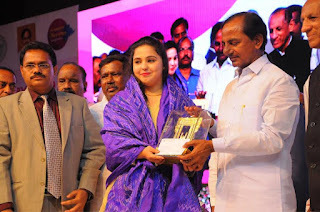 She received State Excellence Award by KCR on Independence Day Celebrations on 15th August,2015. 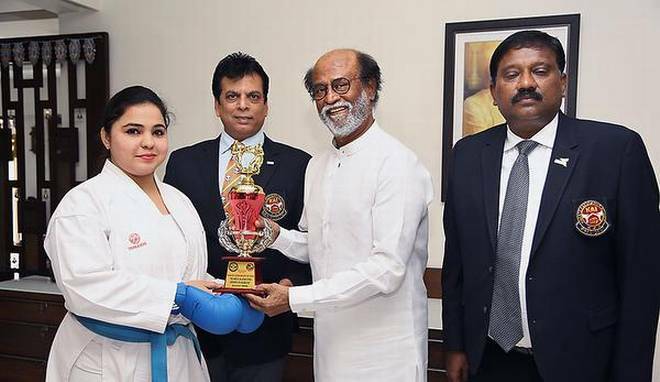 She was felicitated by Indian Superstar Rajnikanth on Women’s Day,2018 on behalf of Karate Association Of India. She was awarded by Akshay Kumar on winning the Akshay Kumar International Karate Championship in 2010. 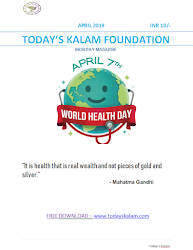 She recieved Bharat Gaurav Samma Award in 2014 by World Human Rights Protection. She recieved Dr.Baba Saheb Ambedkar Award by International Human Rights Council at Mumbai in 2016. And many Women’s Achiever Awards and Best Sportperson’s Awards by many organisations. Ans: Lol, it is my parents and elder sister who always solve my problems. I use to solve my friend’s problems in school to escape from teachers. Ans: My best achievement is the first Senior National Gold Medal in 2013. Ans: Always believe in yourself and whatever you do give your best. Identify the talent which you are best at.